On the back of a difficult Friday for Lewis Hamilton, the Brit fired back and set the fastest time in the final practice session ahead of qualifying for the Abu Dhabi Grand Prix. As Ferrari found their usual form back as well, the session ended with more frustration for Daniel Ricciardo. As Hamilton can now confidently look forward to qualifying. 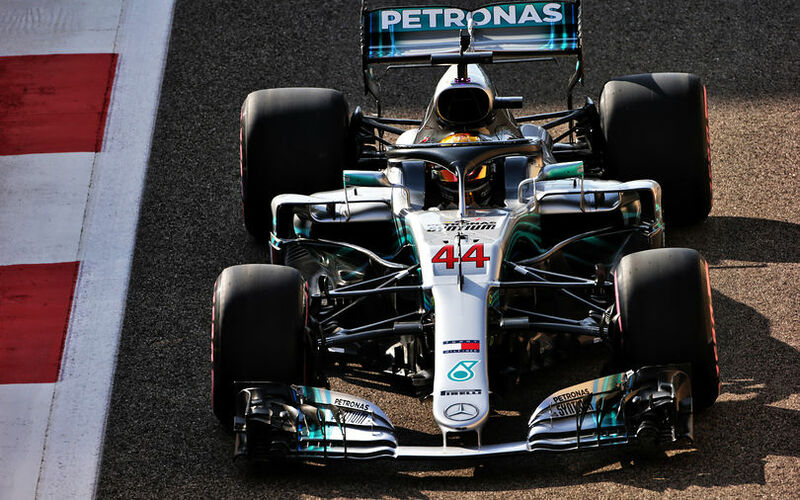 Along with the return to his usual form, Lewis also reverted to number 44 on his car, rather than the number 1 that he had on his car during Friday's sessions in celebration of his latest World Championship victory. Max Verstappen ended up just 4th fastest, and will be slightly more worried, questioning why his team have now dropped behind Ferrari again. Valtteri Bottas in the second Silver Arrows ended 5th fastest, two tenths faster than Ricciardo. Perhaps the most important event for the Australian during these 60 minutes was a breakdown just 5 minutes before the end of the session. A suspected mechanical failure forced him to park alongside the track and step out of his RB14, leaving his team just 2 hours to investigate and repair the car before qualifying. Romain Grosjean continued to position himself as best of the rest in 7th with half a second in hand over Nico Hulkenberg in the closest Renault. Sainz and Ocon completed the top 10. Further back, Leclerc ended up in 13th, having rear-ended his car into the barriers at Turn 19 after losing control of his car. The broken rear wing subsequently cost his team nearly the entire session to fix his car. Still, he ended up faster than team mate Marcus Ericsson, who was 17th quickest, behind Alonso, and ahead of both Williams and Vandoorne.